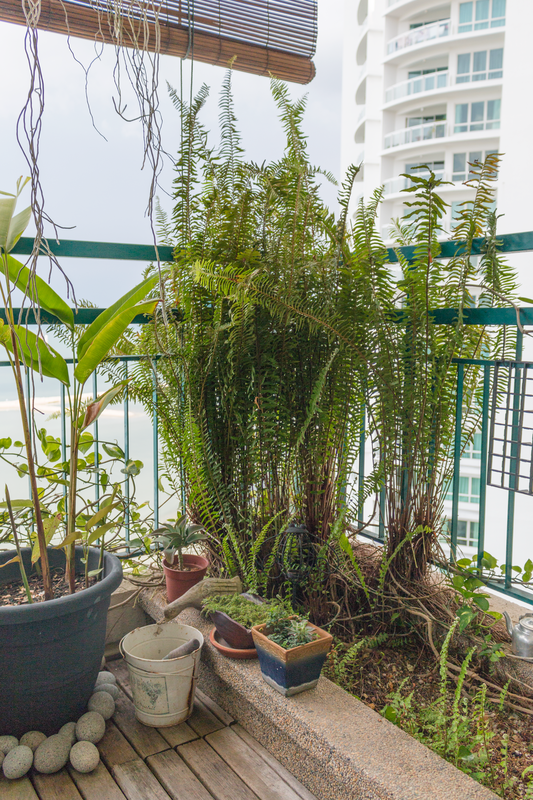 My favourite part of my parents' house is my mother's balcony garden. Our family cat, Mimao, loves to sunbathe there. Although the sea is quite polluted, the view is breathtaking during high tide. The garden has ornamental plants and flowers as well as crops for harvest. I'm very excited about the tomato plant which grew unexpectedly from food scraps. 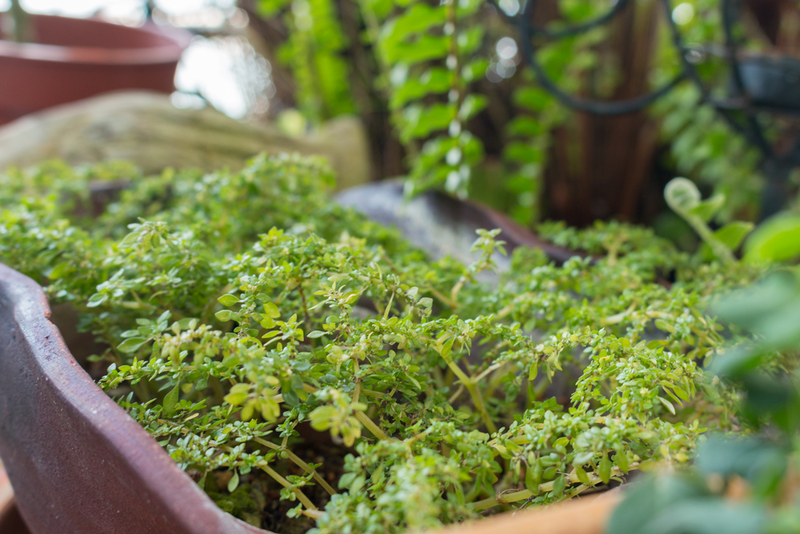 I love its fuzzy leaves and the fragrant smell they emit which acts as a natural pest repellant. The carnivorous Monkey Cup or Nepenthes is one of my favourite plants. I am morbidly fascinated by it and like to peer inside to see the contents of the cup – dead bugs, digestive juices and all. Every day our orchids enjoy an early misting to prepare for the scorching afternoon sun. During my last visit home in early 2017, we harvested a few ginger roots. 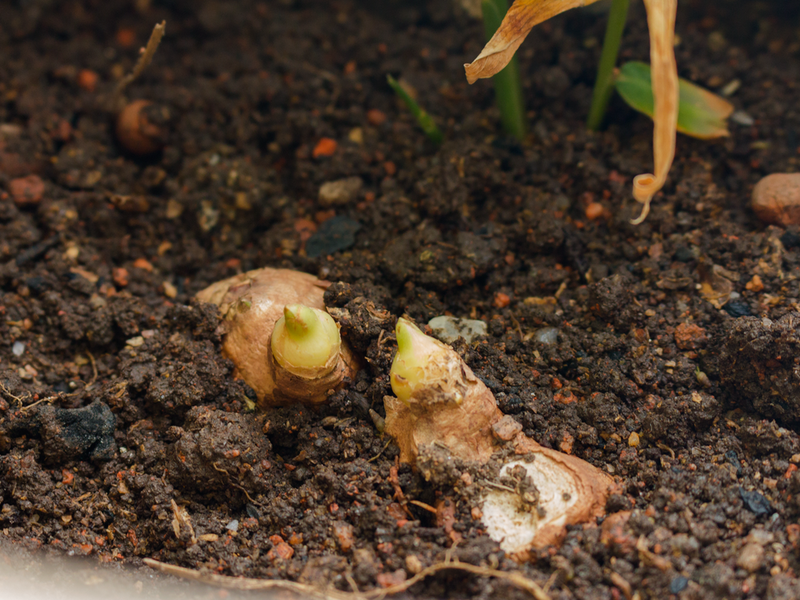 In addition to ginger, our neighbour also gifted us with a turmeric plant which bore small but numerous rhizomes. Sword Ferns and Devil's Ivy are tenacious, fast growers so regular pruning is necessary. Our Devil's Ivy has grown extensively from one small plot all the way to the other side of the balcony. My mother's garden remains my favourite urban garden and a testament to what daily nurturing can produce.